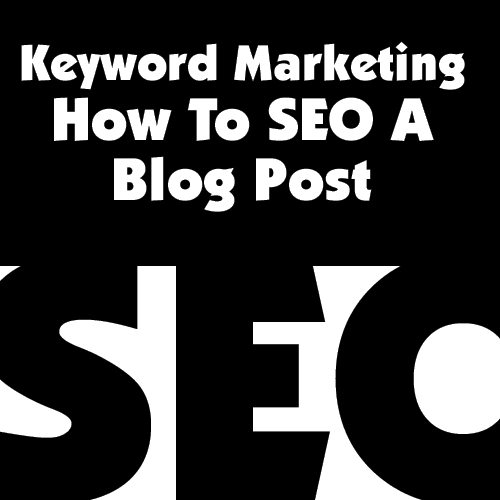 Years ago I wrote the perfect blog post and have been using it ever since to illustrate how to use Keyword Marketing to SEO a blog post (search engine optimize). Just do a search for FUNNY REALTOR POSTCARDS and my post Realtor Marketing Funny Realtor Postcards comes up at the top of the list….but why? Generally I rank on Page 1 of the Google for Realtor Marketing so my posts about realtor marketing rank well too! PLEASE know that this is because I wrote LOTS of realtor marketing posts and eventually I made the grade. I have three terms I am trying to rank for including realtor marketing, entrepreneur marketing and small business marketing. What are your three main keyword phrases? I did all of the on-page SEO perfectly (if you don’t know what that is, never fear, I will be breaking it out for you below). Lastly I found a keyword phrase that gets SOME traffic and which could help my top level keyword move up. I use a neat plugin (SEO SearchTerms Tagging 2) to see what terms people used to get to my pages and for this page they used: realtor postcards ideas, funny real estate postcards, funny real estate postcard ideas, clever real estate postcards, humorous real estate postcards, funny realtor postcards, humerous (sp.) real estate postcards, funny real estate marketing postcards, realtor postcard ideas, and Funny Real Estate Marketing. Now, I feel a little funny when I tell small business owners about this when they are just starting out as it is possible that ranking well for the search term realtor marketing might have given me an edge that is hard to overcome. What to do, what to do? Okay, I am going to write a blog post that is perfect in every way for a site that DOES NOT rank highly or nationally for a search term and see how it goes! IMMEDIATE SCORE! Executive property management had an immediate score….low competition according to Google and high local monthly searches (2,400). In comparison “luxury property management had 3X fewer searches, giving us a clear winner. Next I wanted to see how much competition there was so I went online and did a Google search for “executive property management” WITH the quotes which shows me who I am competing directly with nationally. Okay, 775,000 results nationally…not bad but sigh, that is a lot of direct competition. Now the good thing was they were almost all geographically centered sites…so, what does it look like right here in Colorado…. 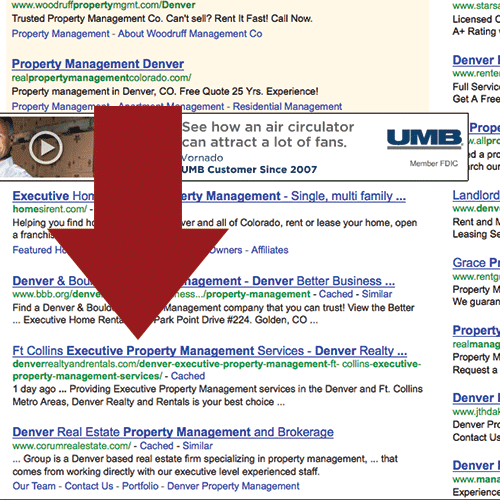 DOH….there are NO competing sites at all for “denver executive property management”…double score. What about “ft collins executive property management”? Same thing, no results. Now I have been doing keyword research for going on 15 years and I would have guessed that luxury property management would have been the higher search. This is why you always have to check! I hate when people talk about Metadata because it is confusing to my biz peeps. Basically metadata just means that it is the bits the computers and Google use to know how to classify a site. There are 3 parts to metadata, the title, the description and the keywords (we are not going to look at these today as they are not as important as they were in the past). because we need to get the words we want to rank for in the property order! That straight up and down line between is a really great way to separate our search phrases as it doesn’t bother the search engines. You make it by doing Shift plus forward slash which is above the Enter key on my keyboard. The next thing you might have noticed from the above picture is that the words “small business marketing” are prominently displayed in the content of the top results. This is going to be important to getting us good rankings. SOOOO….next I have to figure out what kind of content ranks well in the search engines so I am going to do a search for “new york executive property management” and see what I can swipe – use this as a model ONLY!, copying someone else’s stuff verbatim really won’t hurt them too much but will assure that the search engines think you have duplicate content and will not help you at all! Providing Executive Property Management services in the Denver and Ft. Collins Metro Areas, Denver Realty and Rentals is your best choice for superior property management service. You are going to use this description as your metatags description AND as the first paragraph of your post! Another great place to get your words in is on your photo. We named this photo denver-ft-collins-executive-property-managment.png and made sure the description and alt tags of the photo read the same! DO NOT stuff your keywords in there excessively! You should have a nice mix of keywords and content so that people can read what you are writing. We have all had the experience of reading garbled text because they tried to use their keywords too frequently – don’t be that guy! New Update! A month or so later, Tena is the top 3 of 4 listings for “Denver Executive Property Management”! Key words are very important part of seo process. This is very helpful post. Title, description is very important for a site. Your all the SEO tips are important and useful. I agree with you. Fresh and unique content is also play a very important in SEO. I know that in some niches – travel blogging is one where many bloggers consider it bad form to insert a link into a comment. So SEO need a perfect combination of links converting into back links. Thanks for this awesome blog entry. Title, description for a website is important. Its all SEO tips are important and useful. I agree with you. Fresh and unique content also plays a very important role in SEO. Keywords are main factores for generating traffic of any web sites. Its depend upon the way of performance for any website. Thank you for the all the keyword information. Keywords are the most important part of SEO. If you do not set them up correctly, your site will not be indexed. 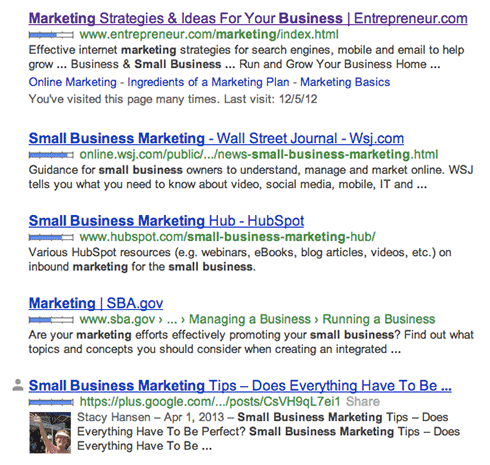 The serps are what you want, what you need. so helpful for beginners in SEO. Very well explained! You have covered the most important parts of on page optimization. Researching keywrods in the right way, placing them in meta tags and the rest of the content on the page. These are the things which most of us don’t pay attention to and mess up everything. Off Page is very important too, but without correctly optimising for on page, its all vain. Keywords are most important part of SEO Or a Business.. your all SEO tips are important and useful. Fresh and unique content play a very important role in SEO. this post is very helpful. thanks sharing for this post with us. Great article Tara Jacobsen, I’ve had a guy working for me for just over 4 months now, and teaching someone tasks that just seem so easy/basic to you is really hard! Page optimization is important but content is king. Good quality content gets great results over time. All SEO ranking factors depends on the keyword, in other words, the keyword judge the SEO ranking factors. What you have suggested everything valuable information especially the meta tag optimization and SERP rankings are depends on the keyword marketing. It’s not only for SEO, but also heart of the paid marketing as well. The metadata that includes the title and description is really important . The information that you give is really helpful especially for the newbies. You’ve tackled the important points about SEO that each of one should need to know. Very useful information, sometimes there is keywords that show as a low competence and very low search but by personal experience this keywords get the Traffic for you,thanks to explane it……..
Really useful tips and techniques for search engine optimization. Thank for sharing explaining Significance of title, meta tag and image optimization in relation to SEO. It’s worth to read post ! Thanks for sharing your ideas on how to seo blog post . I’ve been having some difficulty on how can I properly optimize my blog post . Thanks Rica – Glad it helped!! !